Ana Morales and Mario Soto have two girls, Alisson, 7, and Fernanda, 5. It took Ana Gabriela Lara Morales 11 years to finish 7th grade. The oldest of six, Morales was often responsible for her siblings, and cleaned and cooked for her family. Her father was an alcoholic, and her mother worked various jobs. The whole family, plagued with poverty, lived in one room. With few resources, education was not a priority, and Morales’ parents relied on her to help out around the house. Morales’ mother heard about Escuela Integrada, called Niño Obrero at the time, from an acquaintance who later introduced them to the school. Morales completed one or two grades at a time and then would take time off to work for her family. She finished first and second grade, left for two years, completed third grade, left for a year, completed fourth and fifth grade, left for a year, and then returned to complete sixth and seventh grade. At 16 years old, Morales moved out of her parents’ home and in with her boyfriend, now husband, Mario Adolfo Soto, who came from similar life circumstances. Mario also attended Niño Obrero as a student, and, later, was hired to work maintenance and security at the school. Ana dropped out of school and started working as a cleaning lady. One of her jobs was to clean the school she could no longer attend. Morales became pregnant with their first child, Alisson, at 19 years old, and she and Mario married shortly after. They had another girl, Fernanda, a couple years later. Morales continued to work janitorial jobs and was hired to clean at Proyecto Capaz (Project Capable), a girls’ after-school program through Escuela Integrada. 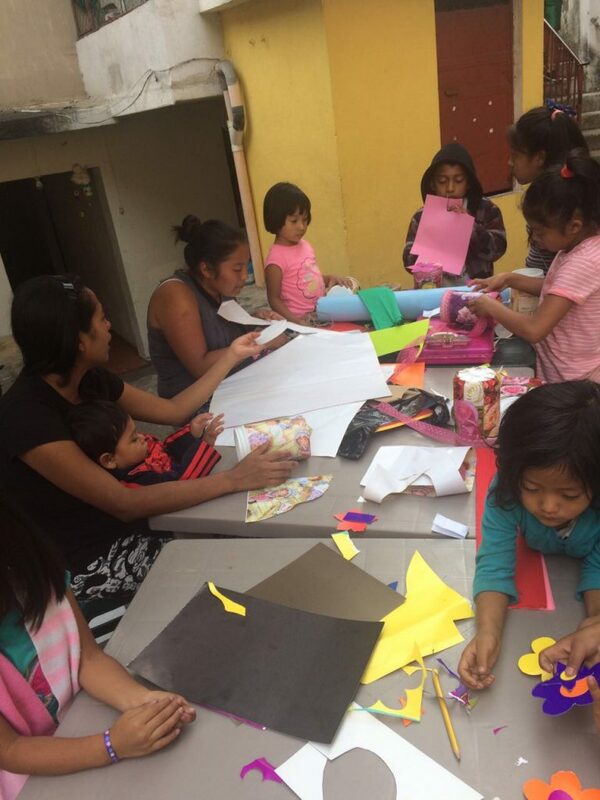 Morales leads a craft project for the girls in Proyecto Capaz. Proyecto Capaz is designed to help disadvantaged girls thrive in their personal lives as well as their communities. The girls in the program play sports, receive academic tutoring, learn about their changing bodies and practice expressing their voice. 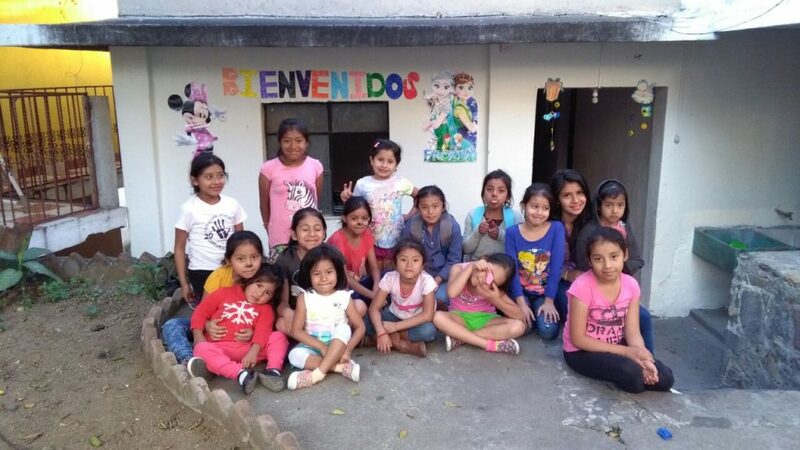 Morales was also able to connect with the girls in a powerful way because of shared similarities in life circumstances and poverty, noted Nadeau. Morales began helping with workshops and supervision, and, in 2016, was asked to run the day-to-day activities of the program, which meets from 3 to 5 p.m., four times per week. While working for the program, Morales received a scholarship to finish junior high school. Earlier this year, she was hired as the Program Coordinator. Proyecto Capaz meets at Morales’ home after school. One of Morales favorite memories from Proyecto Capaz is when one of the girls got her period for the first time. The girl, 13, never learned about menstruation at home. Morales and her husband are committed to providing a better future for their two girls, Alisson, 7, and Fernanda, 5. Alisson attends Escuela Integrada and Fernanda will begin school next year. 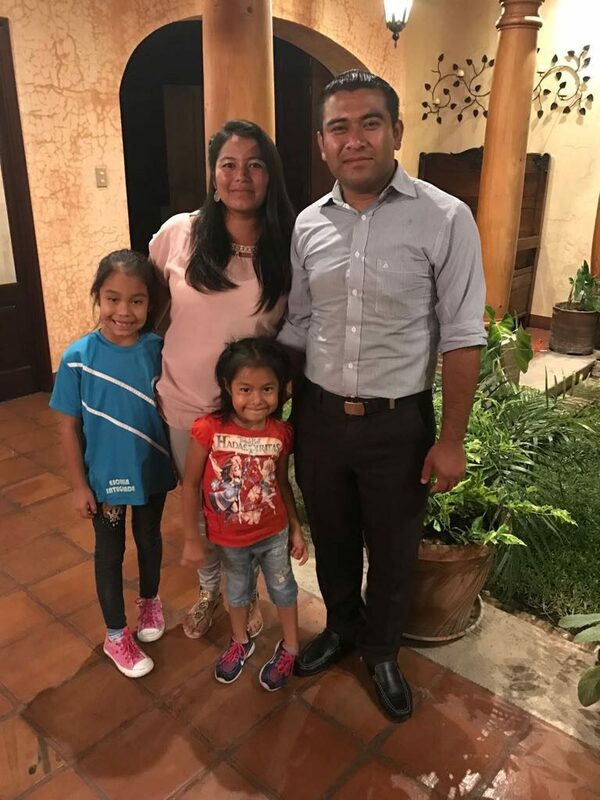 Morales continues to complete her vocational training in elementary education, and her husband works as a doorman and security guard for Escuela Integrada.